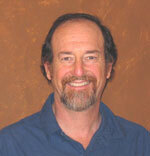 I'm Ken Crittenden, a Licensed Psychologist working in Sebastopol, California. My work draws on over 20 years of experience bringing together the disciplines of mindfulness, contemplation, breathwork, cognitive therapy, hypnosis, EMDR (eye movement therapy), and other traditional and alternative therapies. I invite you to contact me and discuss how I might assist you.